Summary: What does percent mean? 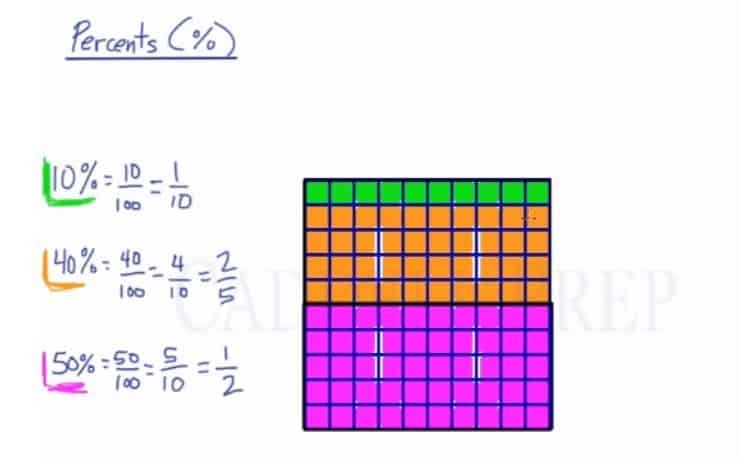 Learn what 30% means and how to represent it as a fraction. 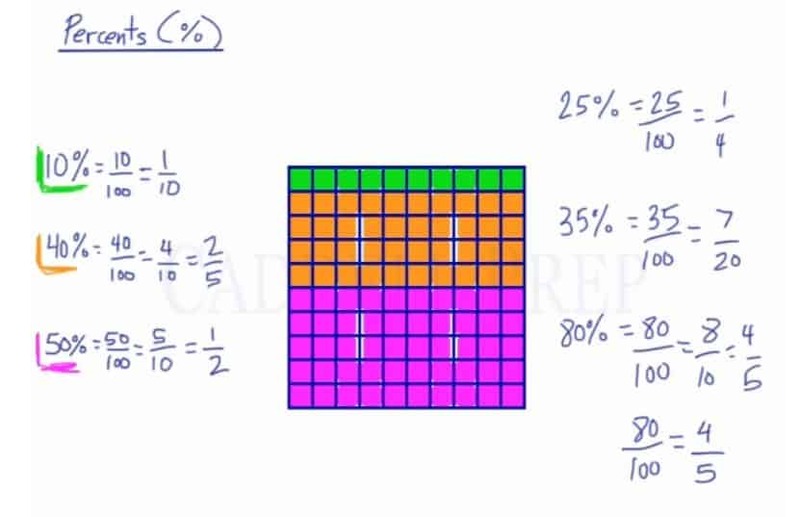 In this video, you will learn what percent means and how to represent it as a fraction. The colored boxes represents the Percentage. At this point, you should probably know how to simplify fractions. Then we can re-draw the 100 squares into 10 rectangles. We can reduce this further, though. So there! We already discussed how to convert percent into fraction. Just to review, to convert the percent into a fraction, we have to take the amount in percentage as the numerator and the denominator is always 100. Then reduce it as much as possible.